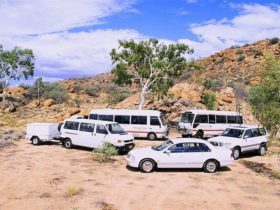 Welcome to Pyndan Camel Tracks, the only camel tour operator in Alice Springs. 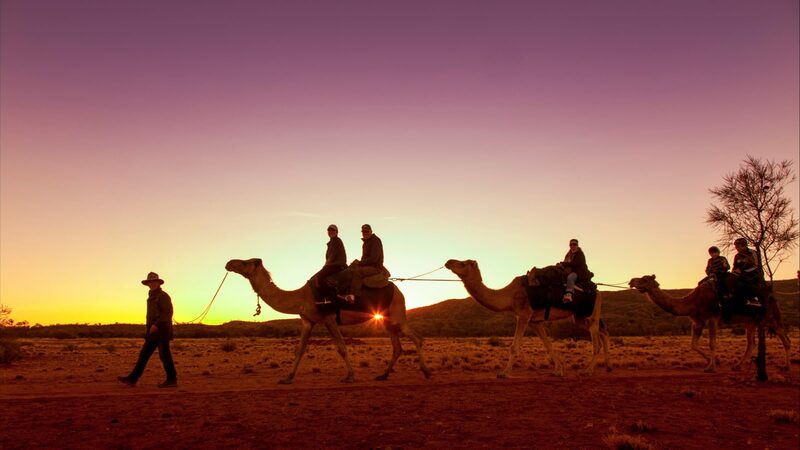 A camel ride against the backdrop of the beautiful West MacDonnell Ranges is a signature Red Centre experience. 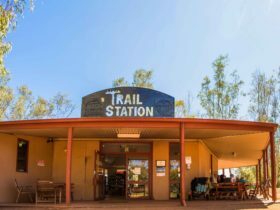 We are located 15 minutes from Alice Springs CBD or Simpson’s Gap in a picturesque valley alongside the ancient West MacDonnell Ranges. 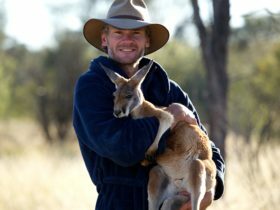 Pyndan Camel Tracks has been awarded Nature Tourism Certification through Eco Tourism Australia. 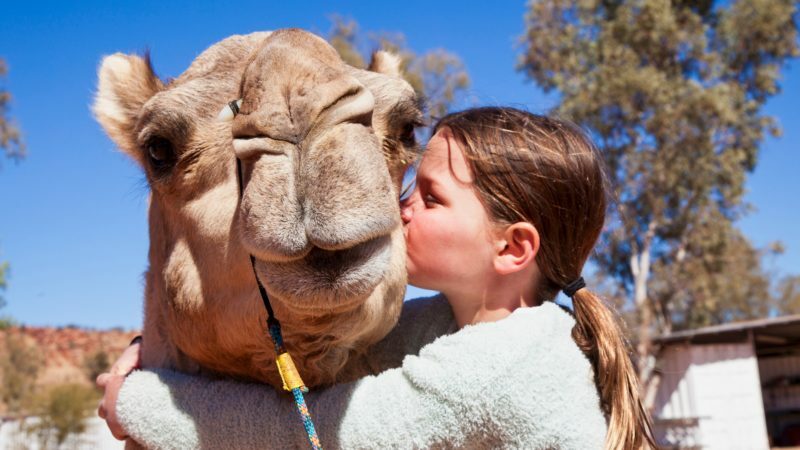 Take a one-hour ride on our gentle camels to see unique Australian animals like kangaroos, birds and other native wildlife as you experience the true beauty of the Red Centre. Feel the magic and serenity as you settle into a peaceful ride aboard our ‘ships of the desert’, the same mode of transport used by our outback pioneers. Owner and cameleer Marcus Williams has been working with camels since 1982 and his camels are well trained. 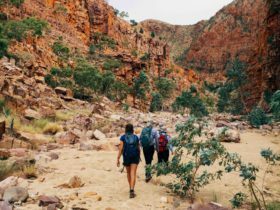 Join a one hour sunset tour and ride a camel through a scenic valley, up close to the MacDonnell Ranges. 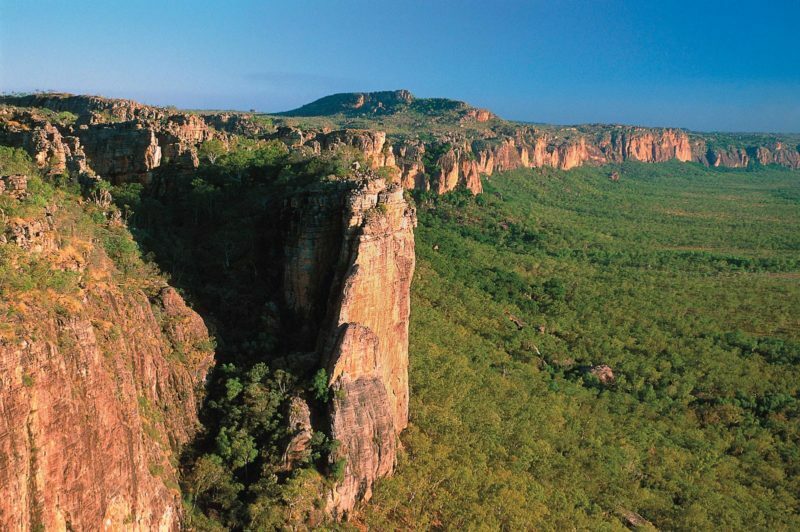 As the sun sets, the colours of the ranges deepen to a glowing red and the sky shifts from cobalt blue to orange pink. What better vantage point than from the top of a camel. What a great photo opportunity. Meet your camel and cameleer, and experience transport from another era. See a variety of native wildlife, relax and enjoy the ride. Sunset tour departures are between 5pm and 6pm depending on the season. 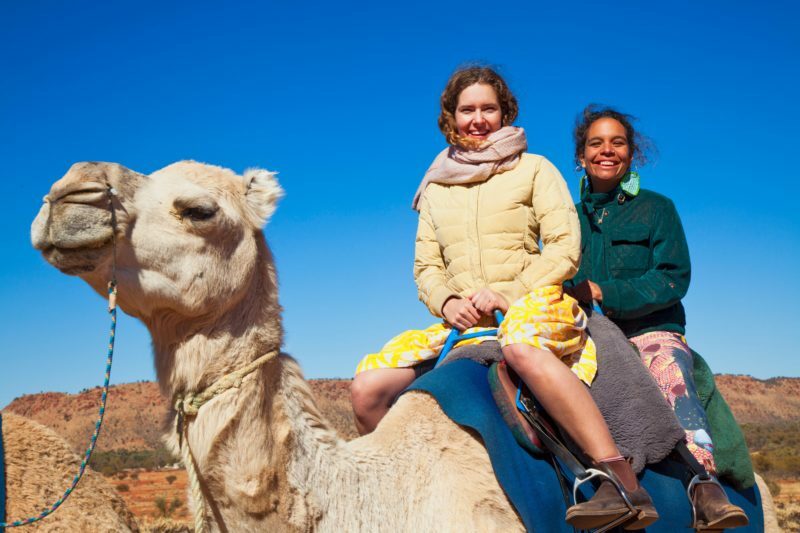 Ride a camel through the White Gums Valley up close to the MacDonnell Ranges on this one hour tour at 12noon or 2:30pm. 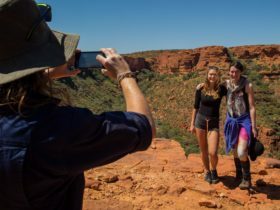 Experience the tradition of cameleers in Central Australia with a knowledgeable local guide as you ride these ships of the desert. Feel what it’s like to truly experience the magic of desert travel with you, your camel and the big blue sky and see a variety of native wildlife. Gentle camels with experienced guides. 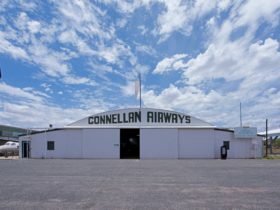 Enjoy the highlight of your visit to Central Australia.